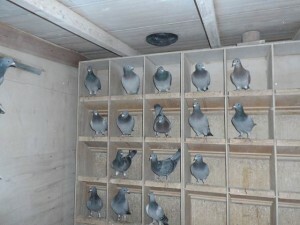 Improve Pigeon Loft Ventilation by fitting a Flettner Ventilator. More and more Pigeon fanciers are being converted to the benefits of fitting a Flettner TCX-2 to their Pigeon Lofts. Flettner ventilators, have no running costs as they are powered exclusively by the wind and as a result subject to there being a slight breeze will improve the air quality inside the Pigeon loft for your birds by removing stale air and small particulate matter that would otherwise potentially harm their well being. Pigeons produce Carbon Dioxide and their droppings contain Ammonia which if left to build up into high concentrations will affect the health of your Pigeons. A Flettner Ventilator can help to remove these waste gases easily, quickly and without the need for an electrical hook up. They can be fitted in as little as 30 minutes and no on going maintenance is required. Can you afford not to fit a Flettner? 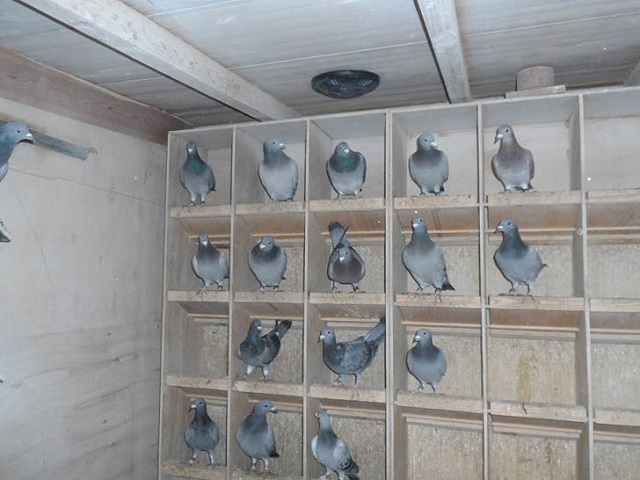 Ernie Sellers, a recent customer of Flettner states ” I have searched for several years for suitable vents for my Pigeon loft as I feel it is vital for the well being of my birds especially in the breeding season, so I was delighted when I saw your advert in Homing World. I have installed twin TCX-2’s in my loft without any difficulty after just placing them ‘in situ’ for a few days to enable the birds to get used to them. As you can see from the photograph the birds have completely accepted them. The loft is fresher, and airy, and considering the season fly for longer periods than usual when I let them out for exercise”.